You can still find standard cribs in traditional design. They are designed mainly for baby’s sleeping place. There are also cribs with a changing table that can be attached and detached for convenience and mobility. Some modern cribs can be converted into beds, which is perfect for the baby from infancy to toddler age. Baby crib is a useful and multi-purpose baby shower gift. In choosing a baby crib to give as your baby first-month gift, it is important that you check the specifications and materials used for baby’s safety. Even if the brand or specific model is not recalled or criticized, checking the mechanism is a smart move. When you give baby crib on baby showers, make sure that it will benefit the baby and not cause harm. It is also important to check the mattress and the needed beddings. The mattress should be snugly fit into the rails of the crib and there should be no space left in between rails and mattress. The materials of the mattress and of the beddings should be safe and comfortable as well. For quality baby gifts online, especially cribs and beddings, you can check the baby boutique shops or the online shops. You can expect the baby cribs to be expensive but when you compare prices and find best deals, you may find one that fits your budget. The baby crib is an ideal newborn hamper item for a special baby. You may want to give this furniture to the family to help them cut their expenses and have the best items for the baby. 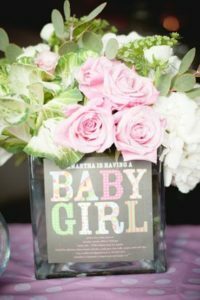 On the celebration of the baby shower party, make the event more wonderful to the parents who are expecting their new baby by giving them a brand new and high-quality baby crib. You can also send one in Baby Hamper if you are out of the country.